I know it is just the last day of September, but it’s almost Christmas! If you are a person who likes to make Christmas gifts for coworkers or friends, now is the time to plan this out. How many people? What are you making? How many supplies will you need? I’m telling you that you can’t put this off until the last minute. I did last year and had to search several stores to find all the ingredients I needed! Who could believe that Walmart wouldn’t have Tang? Plus the Walmart distribution center was backordered? Wow! Fortunately, we were able to find all the ingredients. I will definitely be planning ahead this year for whatever I decide to make as gifts. 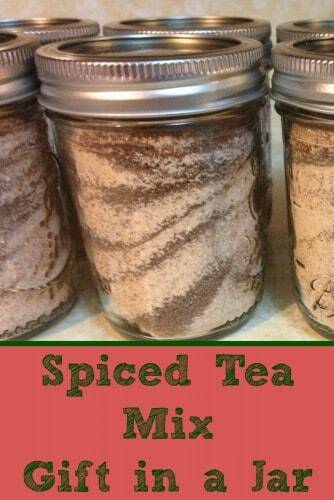 I made this Spiced Tea Mix last year for my husband’s coworkers. I personally believe that handmade gifts are best as they show that you care without coming off as “brown-nosing”. It’s a fine line to walk because gifts during this time of year really need to be from the heart. Really, they need to be from the heart any time of the year. That’s just how we roll! This spiced tea mix makes such a great drink for the holidays. It’s great hot and even after it has cooled down a little. I love all the yummy flavors of the orange with cloves and nutmeg! Honestly, I don’t know where this recipe came from, other than I kept it years ago after being given a batch myself. 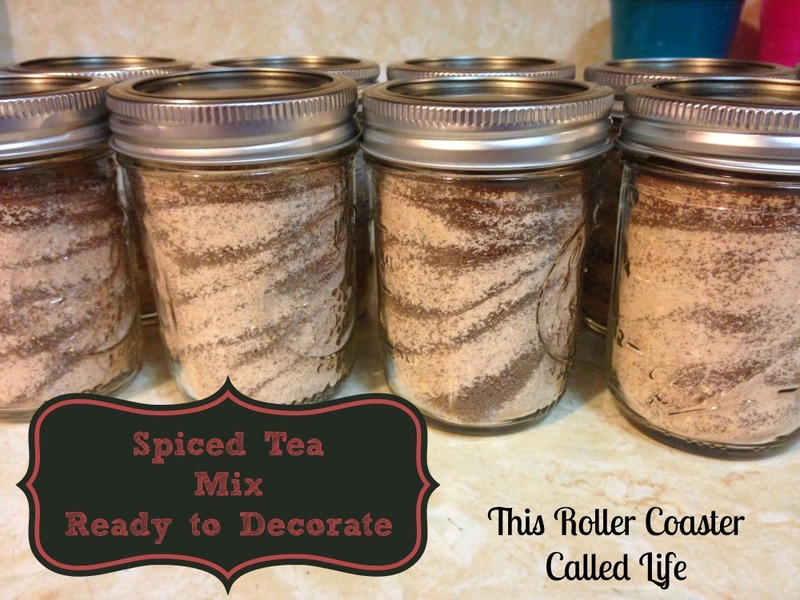 At first, I wasn’t quite sure what I was going to put the Spiced Tea Mix in for gifting, but after looking around, I decided that mason jars would have a nice appearance. I made sure to wash and dry the jars thoroughly before mixing the ingredients. 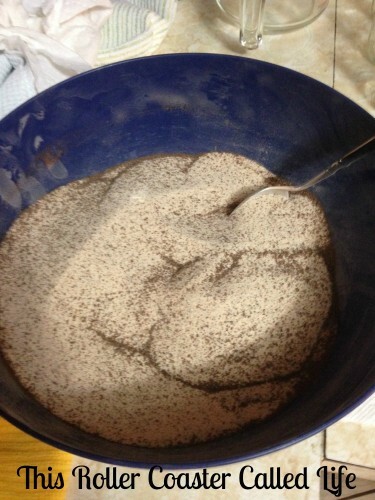 After it was all mixed, I spooned the mixture into jars. I love how the different layers show up! Unfortunately, I didn’t take photos of the final product with the tags on the jars. If you wanted to do something like this, you could add a circle of fabric over the lid with ribbon to tie it on. When I make this as gifts, I always include the recipe. That way, if the recipient has allergies, there will be no doubt about what is in the mix. 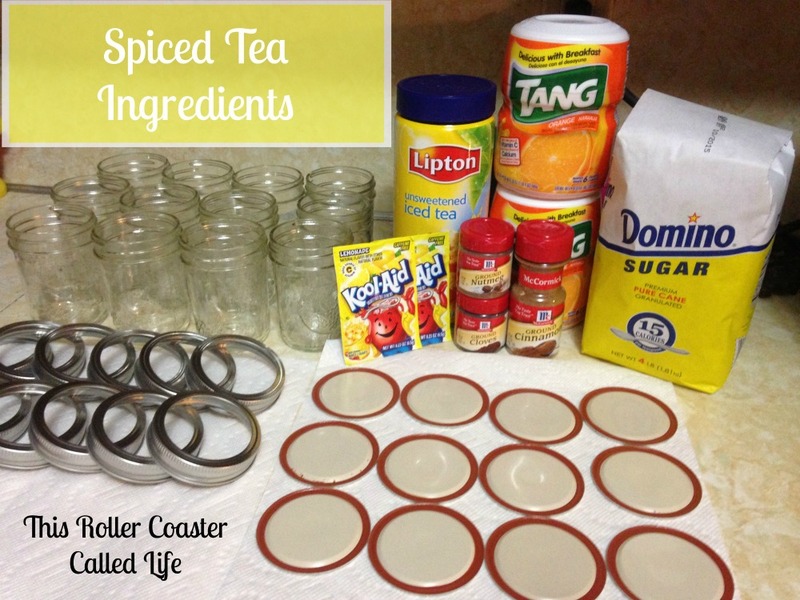 Add 1 tbsp (more or less as desired for taste) of mix to 1 cup of hot water. I have a couple of questions on this. You used the “jelly” size mason jars correct? Also, did you triple your recipe above to fill the 12 jars? Yes, they are the “jelly” size jars. It’s been a while since I made that batch, but it does say that I made 2-3 times the recipe amount. At this point, I can’t say whether it was 2 or 3 times. I’m sorry. My mother used to make this many years ago. Sweet memories. I’m saving this and going to make a batch. Thanks so much.